These engaging leadership goals coloring pages encourage student leaders to develop personal goals. Topics include hopes and dreams, helping others, solving problems, and much more. 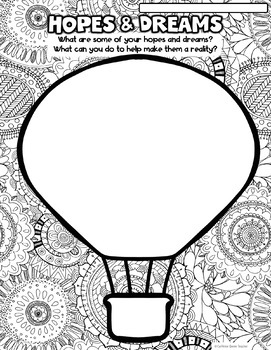 These coloring pages make great displays and help with setting leadership habits and self-reflection. Great activities for leadership programs, Back to School time, student council, and getting to know students better. Plus - MOST PAGES ARE EDITABLE with Microsoft PowerPoint! These leadership goals for student growth can be used for goal setting, getting to know you, writing. 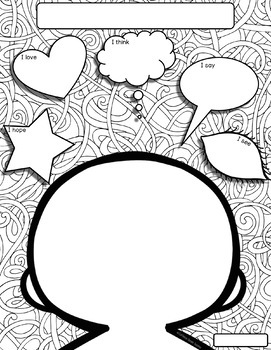 ANY subject area can use these goal setting and self-reflection for growth resource pages! 18 EDITABLE activity pages (same as the regular activity pages, but the words are gone - you can PERSONALIZE these pages for your own classroom! 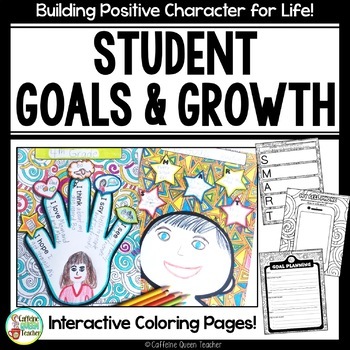 Use these leadership goals for student growth coloring pages to encourage students to care about themselves, their work, and their classmates - Great for Leadership classrooms! Fits with ALL Leadership Programs! Great for student council! Editable and easy to use for whatever subject or topic you're studying! Easy addition to Interactive Notebooks (ISNs) in all subjects. They also make great Bulletin Board displays! Check out the PREVIEW to see most of the pages included! PowerPoint is needed in order to EDIT this resource!